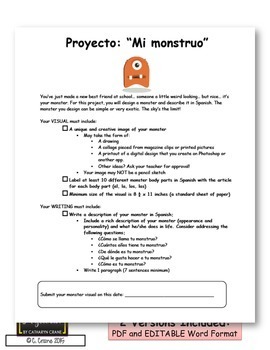 Spice up your beginning level Spanish Body Parts unit with this fun project in which students design their own monster and write about it in the target language. 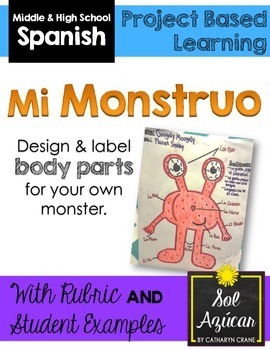 This project will work for any beginning Spanish curriculum! 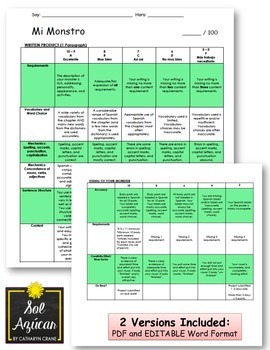 PDF and editable word versions of the documents included. 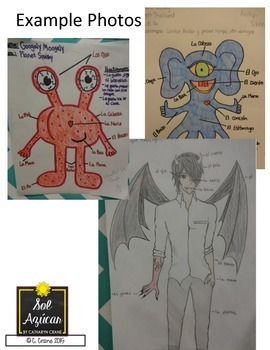 Check out my other Spanish Projects!